Cyprus is one of the most popular spring & summer travel destinations. Enjoy a holiday to Cyprus year-round and experience beautiful weather, warm waters for swimming, miles of pristine beaches and a vast history. From luxurious resorts to more affordable hotels for any budget, all travelers will find the perfect accommodations when opting to visit beaches in Cyprus. Those travelers who love beaches, Cyprus has many hotels built on the beach. Travelmyth has the most complete collection of beachfront hotels in Cyprus. While planning your next holiday, consider visiting some of these top beaches on this magnificent Mediterranean island. 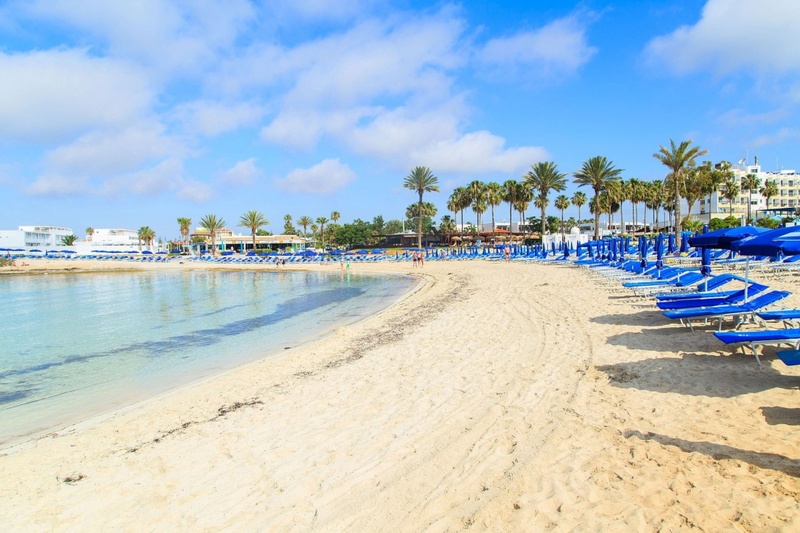 Fig Tree Bay Beach in Cyprus is one of the most unique beaches on the island. Just north of the beach, visitors will see a lone Fig Tree that has given the beach it's name. Fig Tree can be found in the Protaras District between hotel-lined streets. Pissouri Bay can be found just between Limassol and Paphos on the coastline. Here you will find miles of sandy white beaches in a laid-back atmosphere. Head out to sea while taking advantage of water sport rentals or enjoy your time lounging about in the sand. This beach is completely clean and safe for families traveling with children of all ages. Right from the beach itself, take in amazing views of the white cliffs seen in the backdrop of the island. Nearby, you will find tavernas for delicious Cyprus cuisine, shops, restaurants and bars. 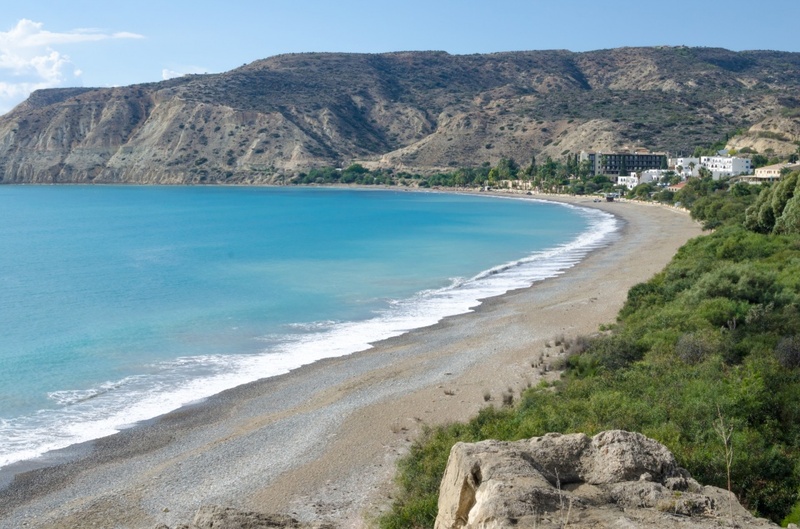 Curium Beach is known as one of the most beautiful beaches in all of Cyprus. Just a short walk up from the pristine white sand is a Roman Amphitheater that has been restored to it's original condition. Swim in the gentle, calm water, watch boats as they pass by, have fun renting water crafts and more. ©2019 - perfectcyprus.com All Rights Reserved.